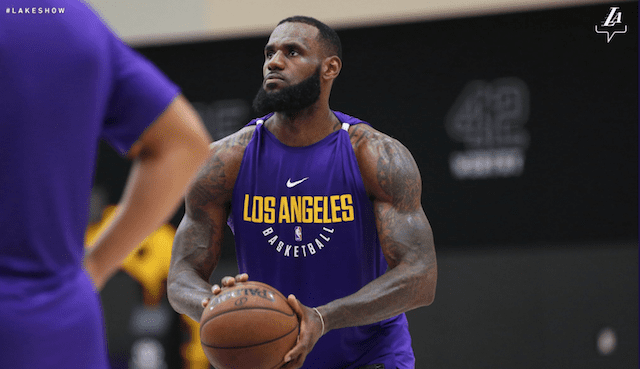 In somewhat of a disappointment, the Los Angeles Lakers were not among the teams selected to play Opening Night when the NBA announced games for the first week, Christmas and Martin Luther King Jr. Day in the 2018-19 schedule. Instead, the Lakers play their season opener on the road, Thursday, Oct. 18, against the Portland Trail Blazers. Given the NBA’s strategy of taking advantage of the start of a season, it isn’t exactly a sizzling matchup. Many wondered if Paul George and the Oklahoma City Thunder would make their first visit to Los Angeles in the early going, or if James and his new team would get a look at the defending champion Golden State Warriors. James and L.A. do face Golden State on other marquee dates during the season, playing the Warriors on Christmas and again for MLK Day. Meanwhile, Portland and Los Angeles do have plenty of playoff history together. But that hasn’t been seen since Kobe Bryant and Shaquille O’Neal were leading the Lakers to three consecutive championships. In terms of facing one another to start a season, there isn’t much of a track record, and again, the bulk of it is tied to the Bryant-O’Neal era. 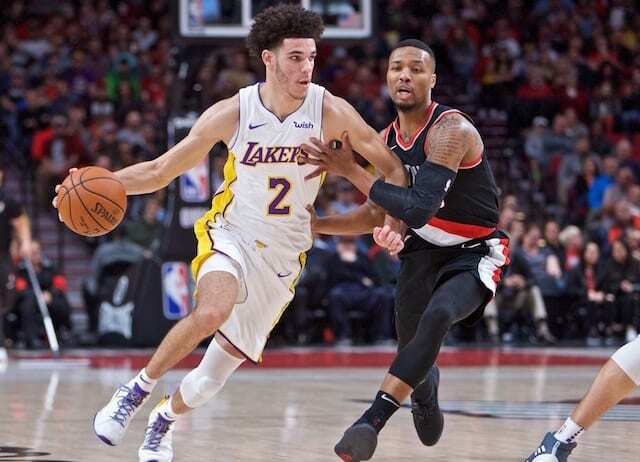 This year is only the fourth instance in which the Lakers and Trail Blazers meet in a true season opener for both teams. They previously did so for the 2000-01 season, again in 2001-02, and lastly in 2008-09. The early 2000s matchups were tied in to fierce battles in the playoffs the year prior. Portland memorably collapsed in the fourth quarter of Game 7 of the 2000 Western Conference Finals. The Lakers went on to defeat the Indiana Pacers in the NBA Finals, and led by 36 points from O’Neal returned to the court that fall for a 96-86 road victory on Halloween to start the 2000-01 season on a positive note. Los Angeles was victorious again when they faced Portland to open the 2001-02 season, this time defeating them 98-87 at Staples Center. Bryant and O’Neal paced the Lakers with 29 points each. As for their 2008-09 season opener, the Lakers trounced the Blazers at Staples Center, 96-76. Bryant poured in game-high 23 points, while Pau Gasol scored 15 and Trevor Ariza had 11 points off the bench. Other early-season tilts between the two teams came in 1972, when the Lakers faced the Blazers in their fifth game of the season but first at home. Then in 1974, the Lakers saw the Blazers again in their fifth contest, however it was their first on the road. The Lakers played their second game of the 1981-82 season against the Blazers, with it again serving as their first road game. For the 1990-91 campaign, the Lakers met the Trail Blazers in their second game of the year, which was their first at the Great Western Forum. In 2002, the Trail Blazers opened their season on the road against the Lakers, with that marking their second game. And in 2012, the Lakers played their second game of the season (first on the road) against the Trail Blazers in what was their season opener. That of course is remembered as the night Steve Nash suffered a leg fracture that ultimately derailed the final years of his career and Lakers’ championship aspirations.